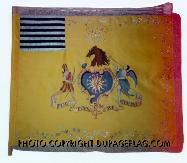 DuPage Military Flag has research, experience, and expertise in all periods of American military history. 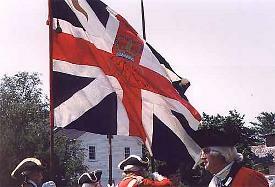 Below are examples of British, French, and American colors of the Revolutionary period. 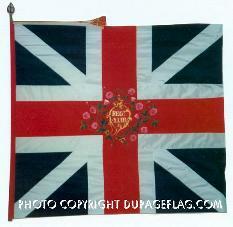 All DuPage flags are made per original flags as actually manufactured. 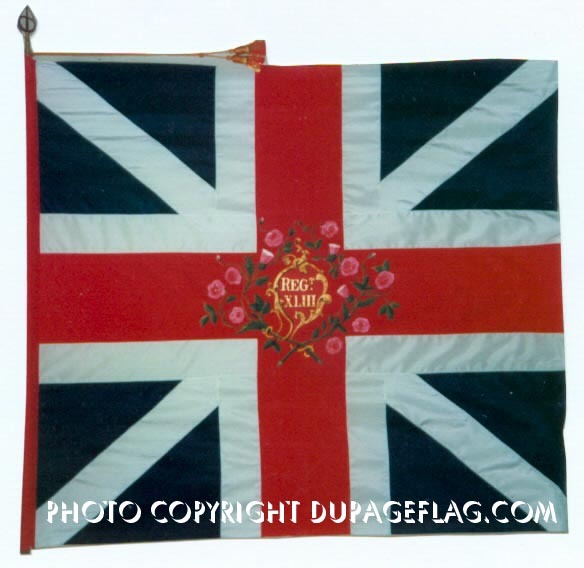 Thus, for example, the corner-to-corner St Andrew's cross on reproductions of most British colours circa 1760-1790 is narrower than actually called for by regulation. 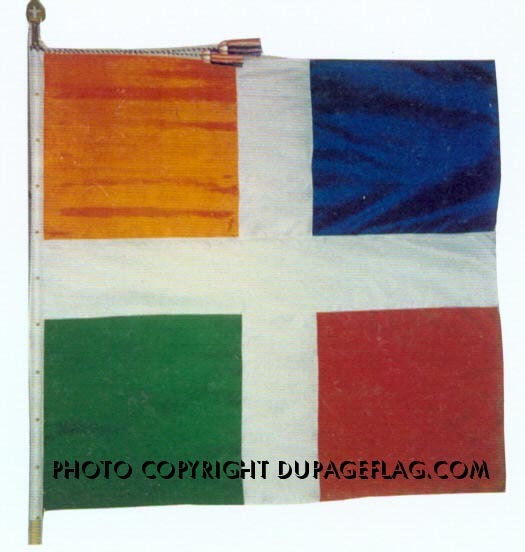 This was probably done as an economy of materials--all white stripes could be cut to same size from single width of white silk with no waste. 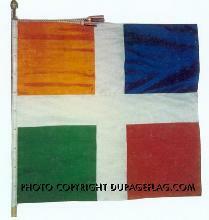 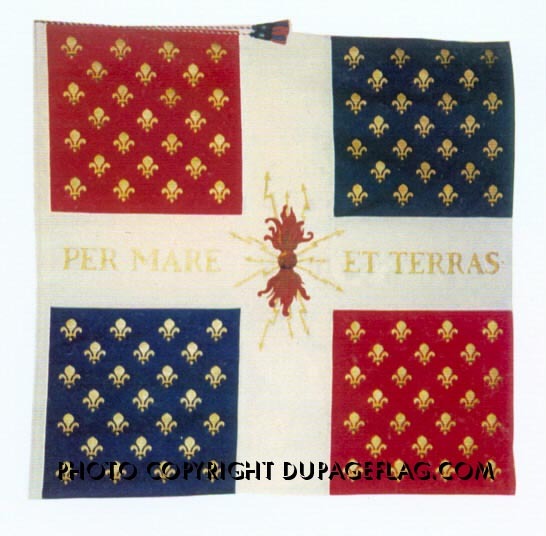 French drapeaux are made in correct proportions of 2-1-2 (corner/cross/corner). 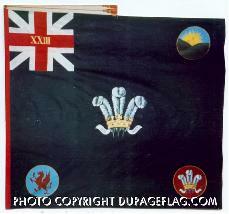 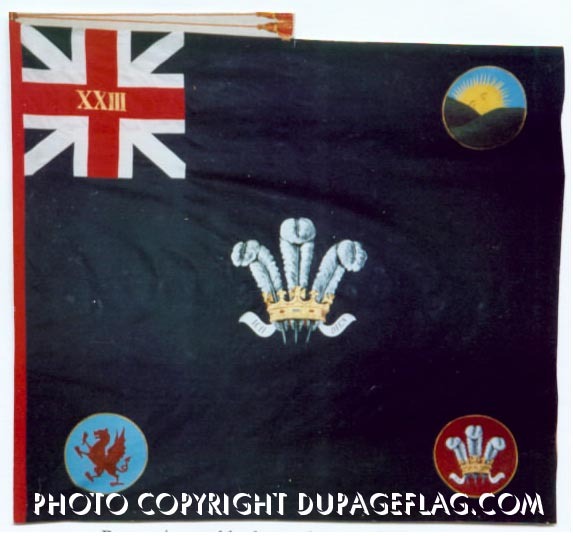 While most flags prior to the 20th century were painted, some were embroidered. 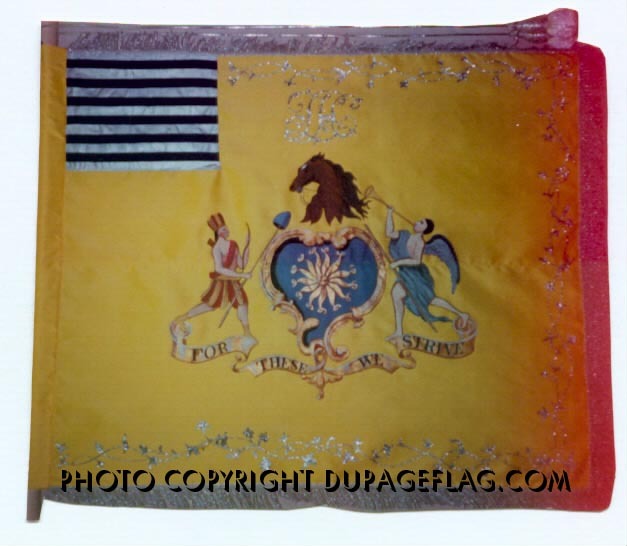 DuPage Military Flags can now offer fully embroidered colors, or in some cases do a painted facsimile of a flag that was originally embroidered.